When future generations of gamers look back on this period of growth and advancement in our medium, will they be able to tell one military shooter, space adventure or dungeon crawler from another? Probably not. Are video games creatively narrow, or rich? Epic Games' Cliff Bleszinski calls this "the most loaded question I've been asked in five years." Amid much discussion on whether games will one day be perceived as relevant art, one thing's clear –it's on today's leading creators to break the cycle of sameness. What do games need to truly diversify? If many of us gamers had our way, we'd play games and little else. For others, as much as we prize our favorite pastime, we've often lamented the same-ness of the experiences on offer – often, the biggest blockbusters are derivative of one another, cycling us through near-indistinguishable experiences again and again. Industry veteran and Zoonami CEO Martin Hollis, most recently creator of quirky Wii Ware title Bonsai Barber, agrees that the thematic range of games isn't very broad. "Pauline Kael famously criticized films as being only about violence and romance: ‘Kiss Kiss, Bang Bang'," he says of the great film critic. "Games are virtually all about violence, or at least conquest and dominance. So we can say games are all ‘Bang Bang, Bang Bang.'" Raven Software's Manveer Heir has firsthand experience with the "Bang Bang, Bang Bang" – and agrees with the general idea that a lack of creative range is constricting games. 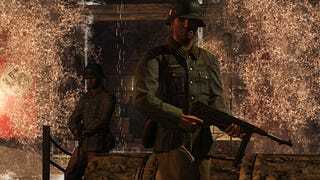 "There are some outliers, but we continuously make the same games about the same things," says Heir, who worked on this summer's Wolfenstein sequel. "The only things that change are our mechanics. We regularly have white male generic space marine characters as protagonists. Our NPCs are often cookie cutter and stereotypical. We use the same backdrops of post-nuclear apocalypse or colonizing Mars, or crazy fantasy worlds." Among gamers, Double Fine president Tim Schafer has attained the sort of hero status reserved for the coolest kid in school thanks to his consistent originality. He has a theory on why this same-ness keeps happening. "There is a cycle in game development," he says. " People making games usually make games that appeal to themselves, and choose from a narrow set of inspirations — Star Wars, Aliens, Blade Runner, Tolkien, World War II, super-hero comics, and a few more. "Then, those games appeal to a certain set of fans, and some of those fans will eventually grow up to make games themselves, and those games end up looking like the previous generation, because they were made to please a similar bunch of people. That loop just repeats and stays the same size forever." "I think any medium that only looks to itself for inspiration is limiting its scope of possibility," says writer Marianne Krawczyk, who counts the God of War franchise among her projects. "It's been a mantra of mine for a while now that we need to look outside of games (and movies and TV, for that matter) and start letting other art forms and other kinds of experiences influence development." For example, artist David Hellman drew from the art of French Post-Impressionist Paul Cézanne for the painterly style used in Braid. Although that decision came primarily from Hellman's own tastes, he finds a parallel between Cézanne's creative goals and those of the game: "Braid is about worlds of subjective perception and also about ideas and laws," muses the artist. "Cézanne married impressionism's transient play of color and light with a powerful geometric order." "Games are very inspiring to me, but only for gameplay, not subject matter," says Schafer. I will experience something awesome in a game, and I will think, ‘That was awesome.' But then, I'll think, ‘Why was that awesome?' And try to deconstruct the experience down to its essence to find out why it works." Schafer says he got the idea for cult hit Grim Fandango from reading Mexican folk tales; Psychonauts was inspired by a class he took on dream psychology; Brütal Legend came from heavy metal album covers, and Full Throttle took its cue from something as simple as the story of his friend's summer vacation. "You never know where inspiration is going to come from," says Schafer. "I think the secret is just to make sure you are exposed to a variety of inspiring influences all the time… I trekked around Nepal once, but that didn't give me as many game ideas as just reading one book on Mexican folklore did." "Creative people need to look at all avenues of creative expression," agrees Krawczyk, who says she's fascinated by the Bigfoot legend, of all things. And one doesn't even need to be an expert in their external hobbies and interests to draw inspiration from them – Krawczyk has had little success learning guitar, attempting surfing or trying to draw, but she keeps at it anyway. "I allow myself to fail miserably, which opens up a kind of creative freedom that translates into the work I do care about," she says. "If you are open to failure, at least in the beginning, you'll take risks and eventually get something that is better than if you had played it safe." Risk-taking is a key element – Electronic Arts CEO John Riccitiello called Brütal Legend a "significant creative risk" — just before the publisher announced it'd be the one to rescue the title from its post Acti-Blizzard limbo. Fervent gamers now look forward to its breath of fresh air. "We need more games that are willing to go out on a limb and try something new," says Raven's Heir. "And we need them to be smaller-budget games that are very successful at first, so that large companies will take the risks down the road." Trying innovative, smaller-budget titles with a creative bent is the tack that Zoonami's Hollis has chosen. He's been focused primarily on Bonsai Barber of late, but he's also so humble that perhaps few gamers know that during his career, he was one of Rare's earliest programmers and directed and produced not only critically-acclaimed Perfect Dark, but widely-beloved Goldeneye 007, a dorm room mainstay for a generation of gamers. He says he's often inspired by his own "failed" prototypes, but as for friendly plant-hairstyling Bonsai Barber's influences: "Henri Rousseau, thematic influence from Magritte, a structural influence from Friends, a game design influence from Animal Crossing, and there is also something ideological within the game," he says. When it comes to the industry's influences, "I hope no one looks only at games!" says Hollis. "That is going to lead to stagnant creations. You can't breathe the same air forever." And yet the pattern of the video game industry tells us otherwise. Derivative games sell, sequels are the watchword for the holidays, and the audience's appetite for war campaigns and space marines seems never to wane. What's wrong with more of the same, if that's what people seem to want? Keeping to the familiar can cap games' commercial potential. While core audiences may not mind the same-old, the gaming audience is growing, andthose narrow tropes aren't appealing to anyone new. "You can see from the best-selling titles on the Wii that those games aren't generally the ones that make huge headway into the market," Heir points out. "Our narrow focus on male power fantasies is going to hurt us in the long run." Epic's Gears of War has become the poster title for that much-maligned "male power fantasy." The original game and its sequel have moved more than 11 million units to date, numbers that challenge the assertion that musclemen chainsawing aliens in a sci-fi warzone is a concept with limited appeal. As progenitor, Gears-head Cliff Bleszinski has become a polarizing figure over the years among those who'd like to name the franchise – and Bleszinksi, by association – as simple pap for meatheads. His influences? "A childhood filled with Transformers, GI Joe, Thundercats, Inhumanoids, MASK, and mountains upon mountains of sugar cereal," he says. But Bleszinksi, too, describes non-traditional influences as playing a primary role in his work. "I believe it's crucial for developers to maintain a competitive edge by playing the games that their peers create," he says. "However, over the years I've found that real life experience can not only inspire the creative process, but also be a wonderful way to decompress from the stress of development." He "decompresses" through hobbies like jungle ATV rides and trying out zero gravity on parabolic plane flights. Bleszinski enjoys activities as energetic as the style of gameplay he favors in design, demonstrating that life experience drives developers' work. "Pursuing new experiences and enjoying the art of fun can translate into understanding how to have a better sense of speed, momentum, adrenaline rushes, or overall satisfaction," he explains. "You're channeling that experience back into the sofa when you build a game." But Is It All Talk? People like Krawczyk, Hollis, Hellman and Heir aren't the only intelligent, creative professionals working in game development. Not every other developer takes their cues solely from shallow, limiting archetypes. And yet the epic games to which so many developers and publishers devote the largest share of their budgets make only occasional progress toward breaking the tiresome loop Schafer describes. ICO, Shadow of the Colossus, BioShock and Portal make strong arguments against shallowness and sameness – but how long are gamers going to milk those? "I think we can use games to reflect society, hold a mirror up and show people how we are as a culture in a way other mediums can't do," says Heir. What, then, does a Wolfenstein re-up say about us as a culture – that we'll never get tired of shooting Nazis? Multitudes of annual trade events convene developers for discussion on meaningful narratives and immersive art, and yet creative people still do uncreative work. Developers bemoan male power fantasies and yet more games with "war", "dragon" and "star" in the title, and yet they keep signing up to make them. The commercial nature of the games biz may constrain the risk inherent in breaking new ground, but that's not a sufficient excuse – all art is commercial. Consumer demand has the largest influence over the games that hit the market. So, if games are limited, it also suggests that the legions of fervent gamers, bloggers and enthusiast writers who devote endless words to their desire for culturally significant games are simply paying lip service to an ideal they won't back up with their wallets. Either that, or this most vocal vertex is a segment of the market too small to matter. The same games keep getting made largely because that's all the core audience is interested in. So maybe it's gamers, not game developers, who need to get a life. And even when games great and small take big risks on new ideas, many will still fail to rock the boat. But there's a glimmer of hope: it only takes one to break the derivative loop, says Schafer. "If you throw a wild card into the cycle — like Grand Theft Auto did with urban crime — then that game reaches a new set of fans, previously unserved. Then some of them grow up to join the industry, and maybe expand it with their own wild card ideas." "So, if the games industry is going to keep growing, it has to pull in influences outside those currently explored in games," he adds. "Life is very broad, and games so far have only sampled a narrow slice of it."